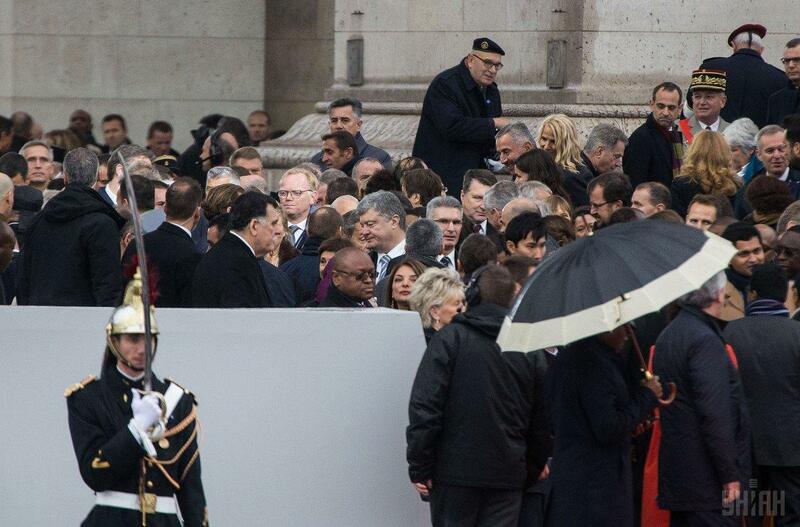 The ceremony ended with the march of the military in WW1 uniform. 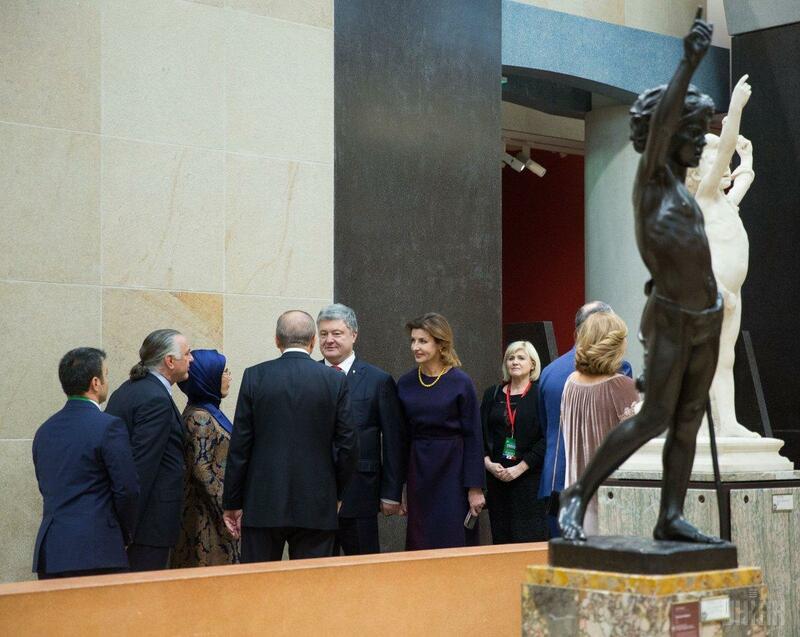 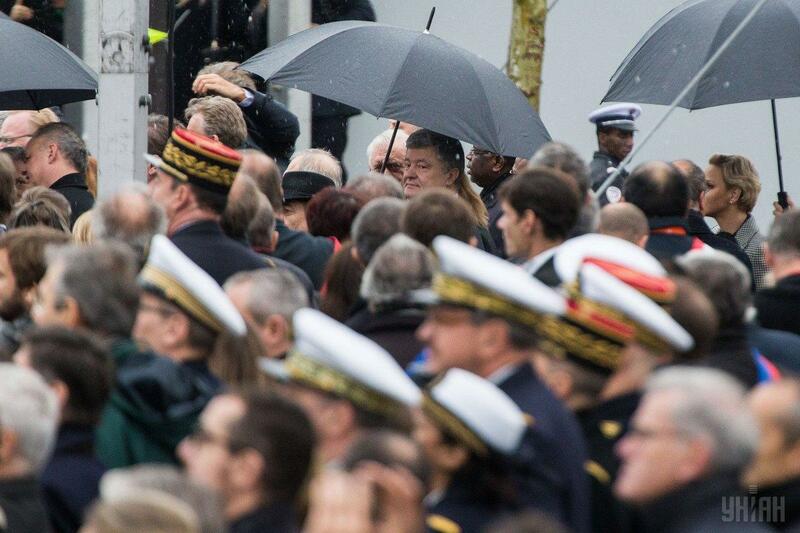 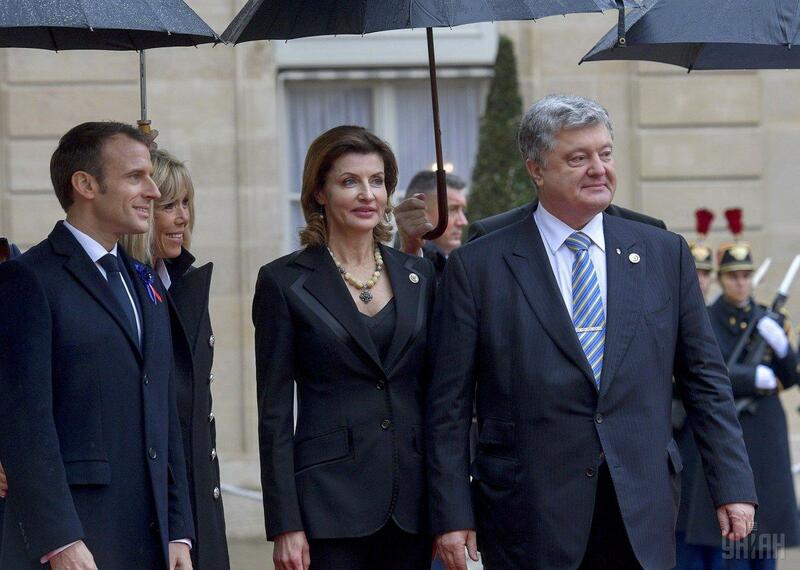 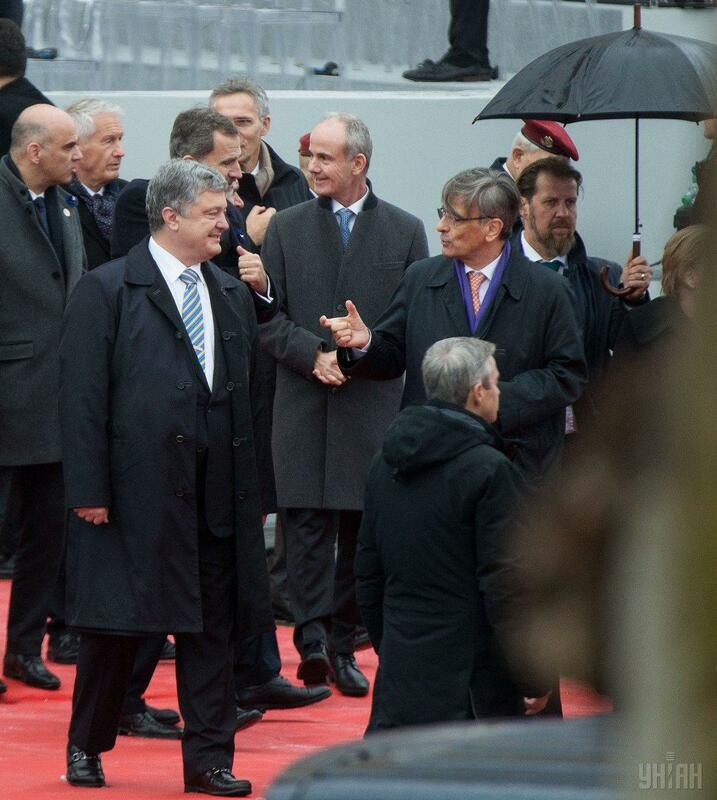 President of Ukraine Petro Poroshenko and his wife Maryna Poroshenko together with world leaders on November 11 took part in an event in Paris, France, to commemorate the 100th anniversary of the end of the First World War (WW1). 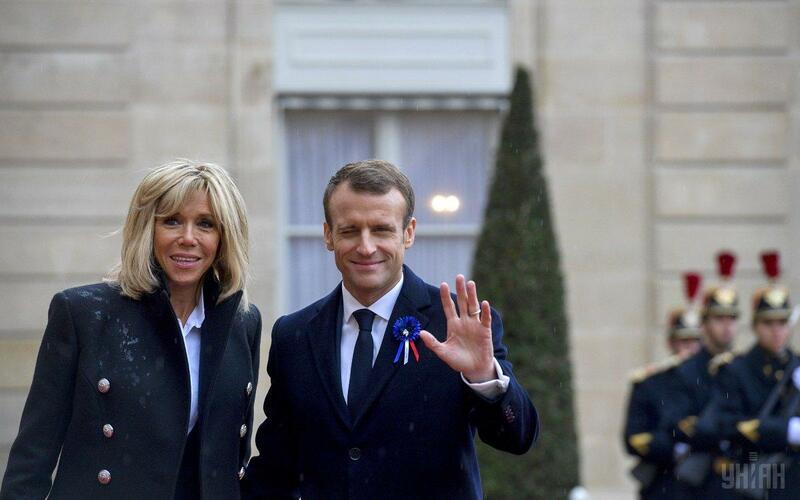 The event started in the Élysée Palace in the morning and continued near the Arc de Triomphe in Paris, the presidential press service said. 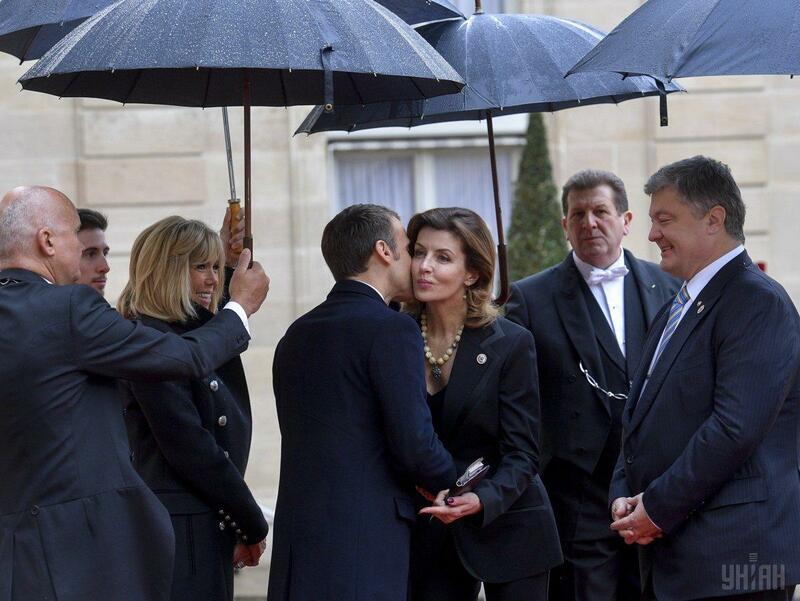 The ceremony was attended by French President Emmanuel Macron with his wife, U.S. President Donald Trump with the First Lady, German Chancellor Angela Merkel, other G7 leaders, more than 70 heads of state and government, leaders of international organizations. 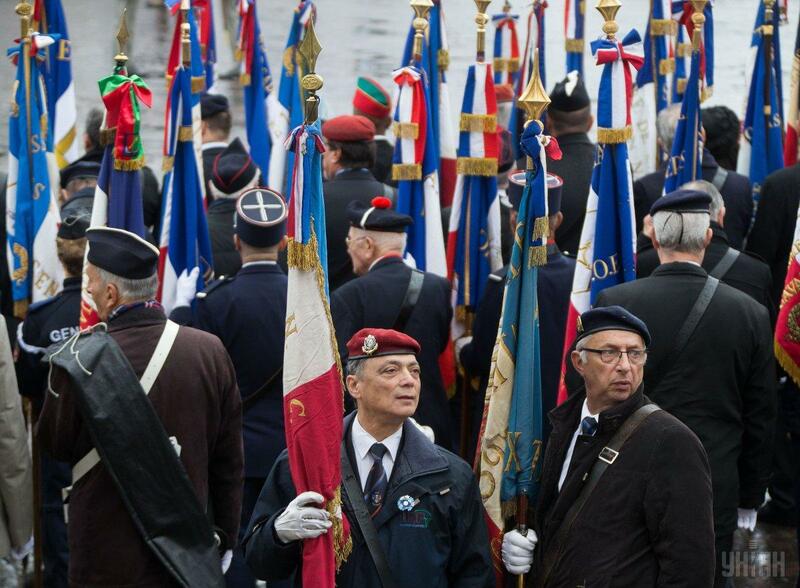 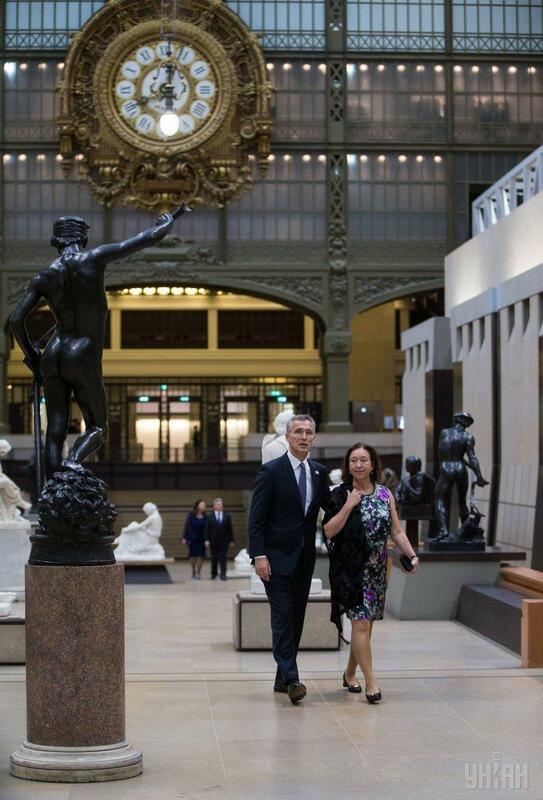 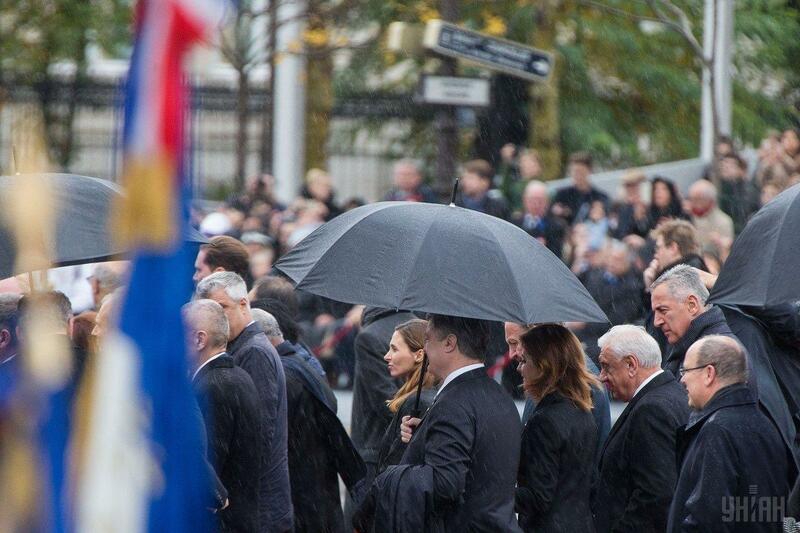 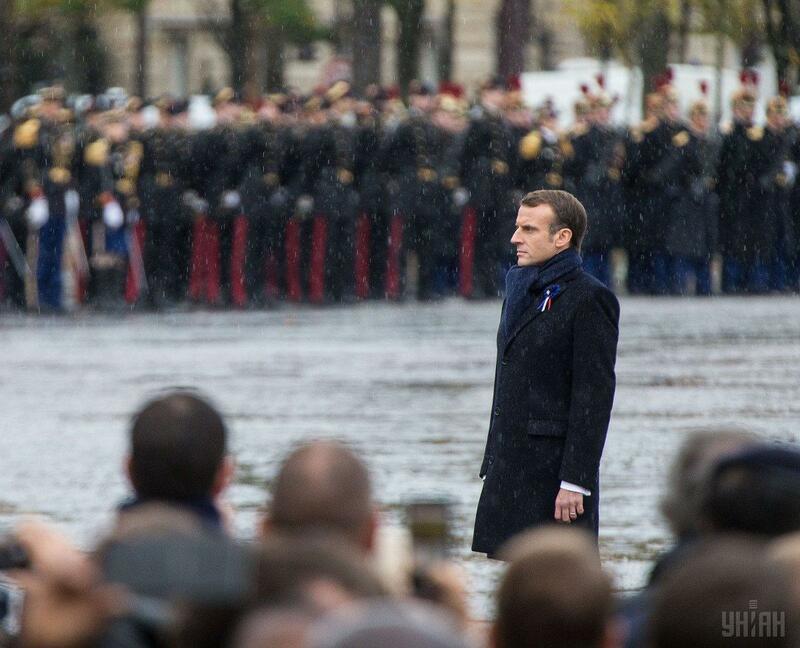 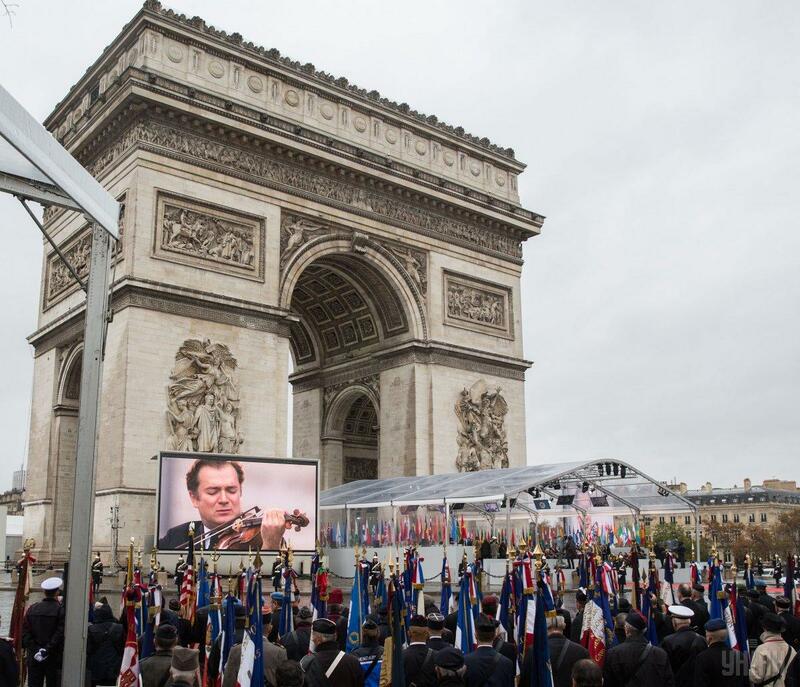 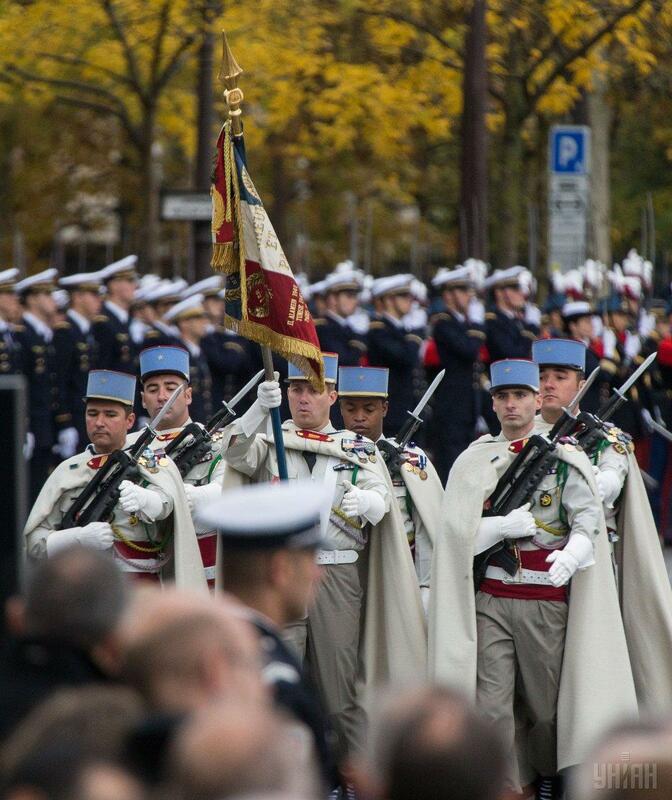 Memorial celebrations began with the military ceremony and the performance of the national anthem of France. 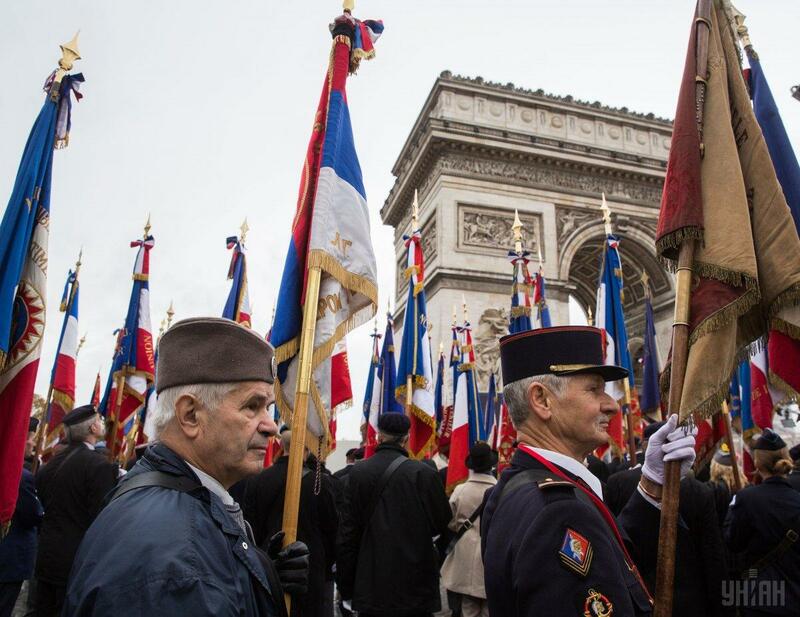 During the solemn commemoration of WW1 victims, the Eternal Flame near the Arc de Triomphe was inflamed. 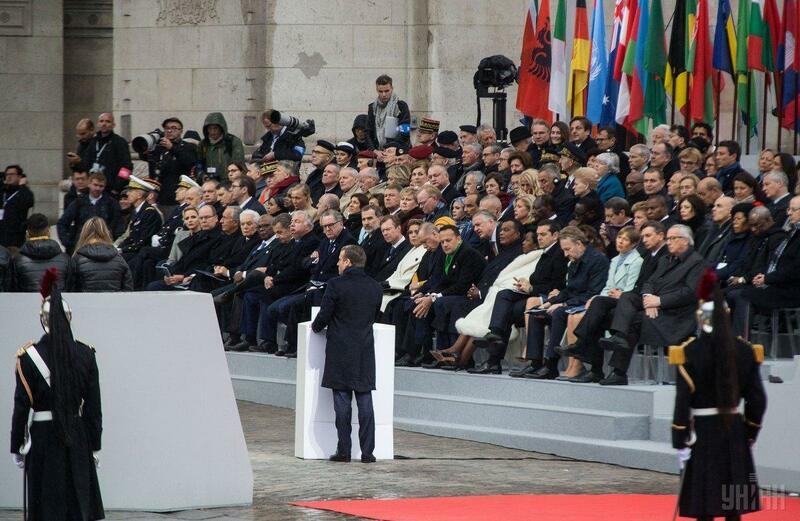 Young people from different countries read the memories of witnesses – famous writers who saw the horrors of that war with their own eyes. 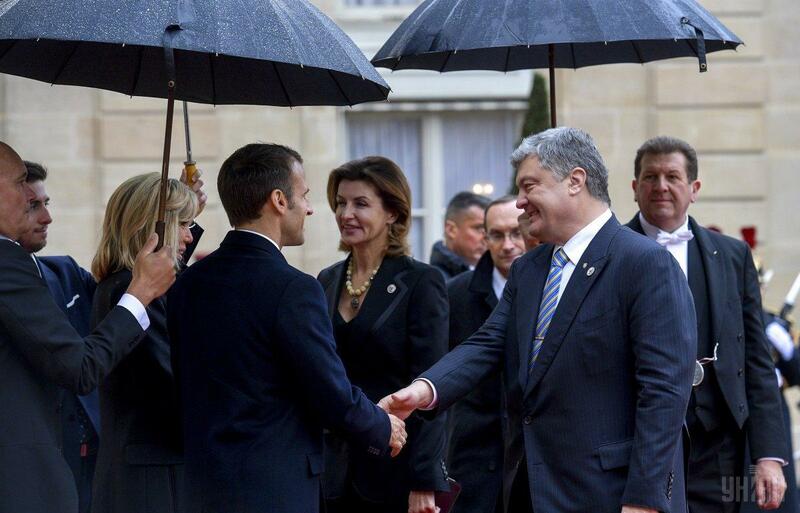 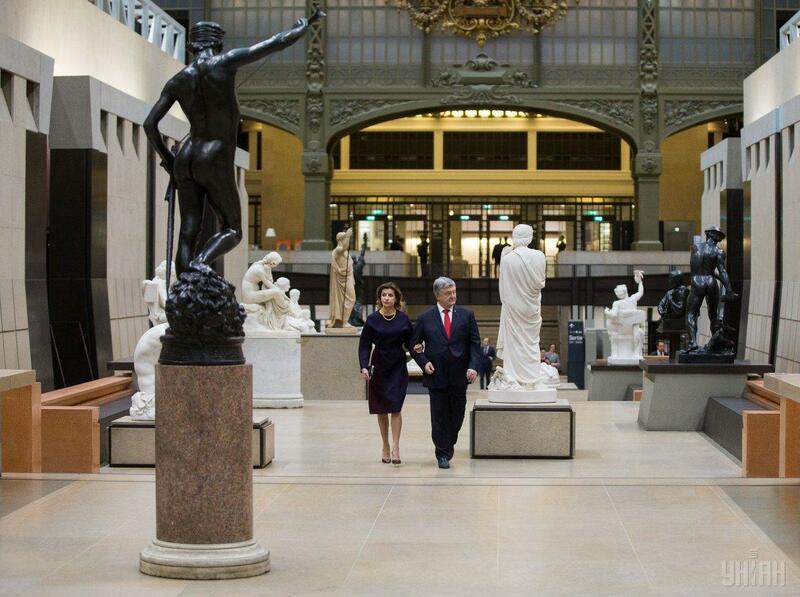 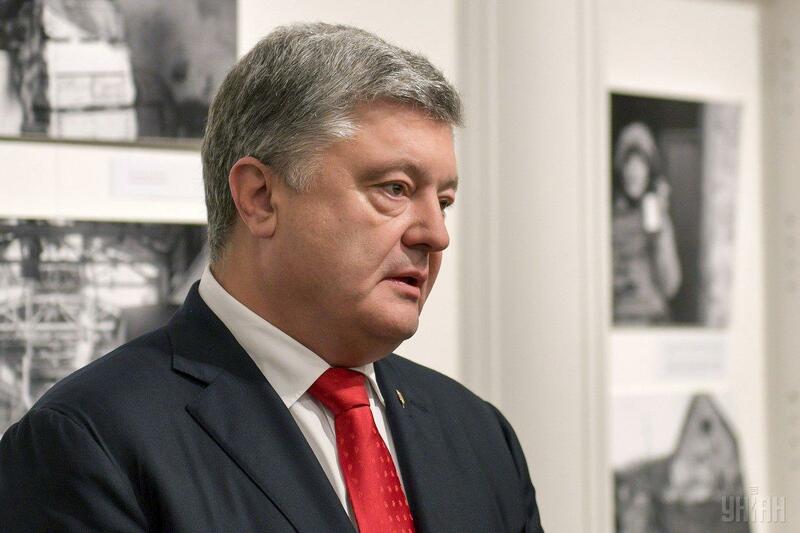 Poroshenko is also scheduled to take part in the opening of the Paris Peace Forum initiated by the President of France. 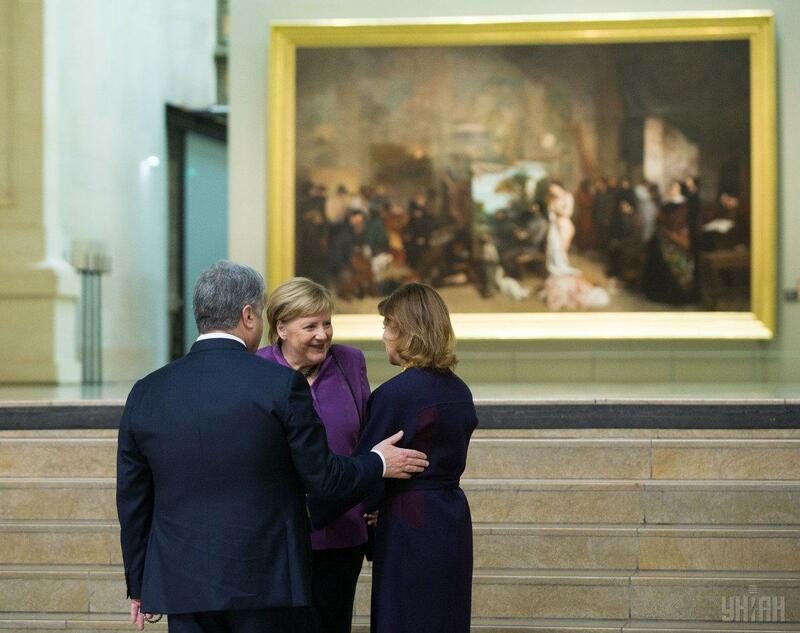 "The Forum's key task is to strengthen peace through improved global governance and support for actions that reduce international tension and facilitate cross-border cooperation between states. 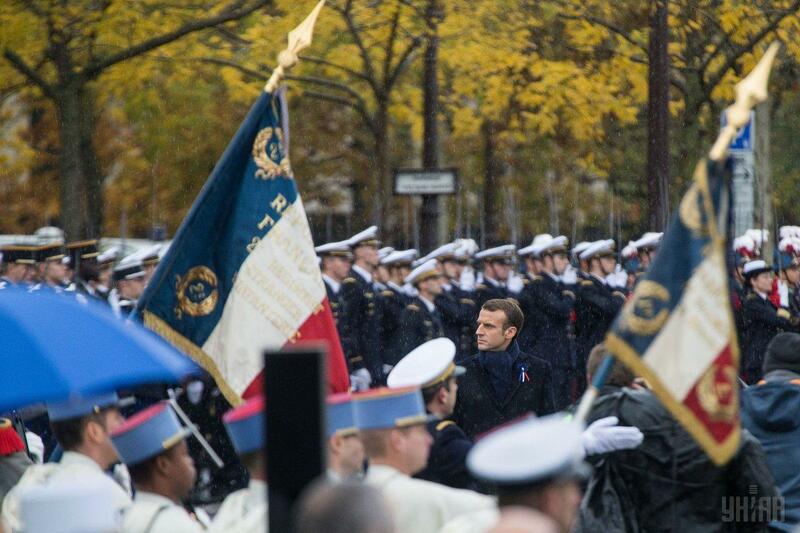 Following the example of the Paris Climate Conference, the Paris Peace Forum aims to become a platform for the exchange of experience and innovative solutions that will bring together all stakeholders in the global governance process: heads of state and government, representatives of local and national governing bodies, regional and international organizations, civil society," the presidential press service said.